In The Green Morning: Memories of Federico, Francisco García Lorca tells of the charmed childhood he, his sisters, and his older brother, the Spanish poet and playwright Federico García Lorca, spent in the “quiet, very fragrant” Andalusian village of Fuente Vaqueros. Digressions into family history enable us to see Federico, the son of a well-off landowning family with a tradition of literacy, poetry-writing, and musical accomplishment—as the culmination of a particular family type his brother describes as “happy, spontaneous, and instinctive.” The Lorca family eventually moved to Granada, where both brothers attended university. However, real education took place at the vividly described deliberations of the “Back Corner” group of the Granadan avant-garde. 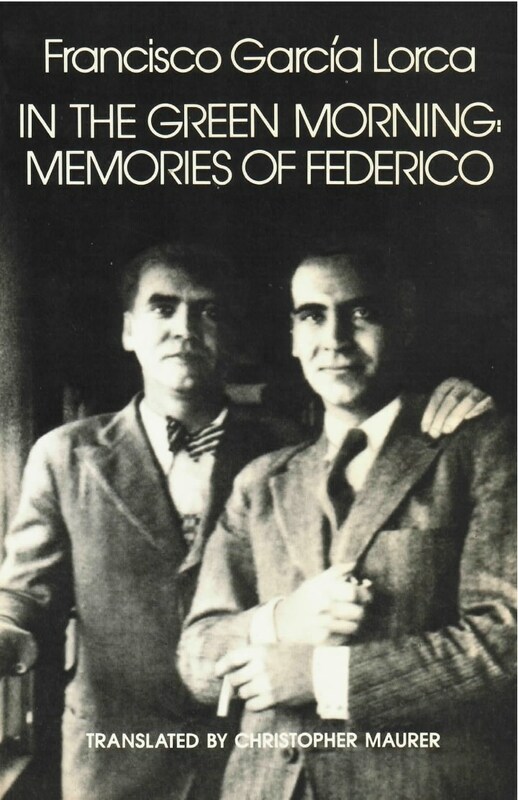 As the “green morning” of childhood came to an end with Federico’s first poetic successes, the brothers’ lives diverged; Francisco’s account ends with Federico’s departure for Madrid. Francisco became a distinguished professor of Spanish at Columbia University, and the second half of this volume includes ten of his lectures on his brother’s work—discussions which draw upon his personal knowledge of the gradual gestations of the plays and his recollections of rehearsals where Federico was a skilled director.